During the initial launch, Fall Devotions trended at #1 in pain management and #3 in motivational Kindle books. This is a great book, simple and effective! When you live in pain it's easy for the world to seem like it's falling apart. Waking up each morning in pain doesn't really help your focus, other than focusing on the pain itself and then building our day around the pain. It seems that we forget about all of the life that is going on around us and what it has to offer. This book is a reminder of all that life has to offer when you're losing focus. 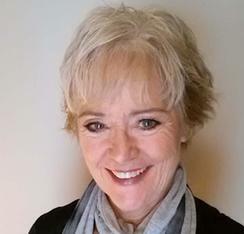 The book is well-written and easy to read. +1 for anyone needing help with kick starting their days. Read more about Fall Devotions, click here. Neuralgia is pain caused by a disturbance of normal nerve function. Imagine your nerves in a bundle and they are all tangled up in a ball. Now imagine, that ball is floating in a pool of soothing liquid. As the ball starts to relax, it untangles and each nerve starts to leisurely unwrap until they are all resting on top of the pool. …. We hope you will take a few minutes to leave a review where you purchased the book. C. Cooper and J. Miller. 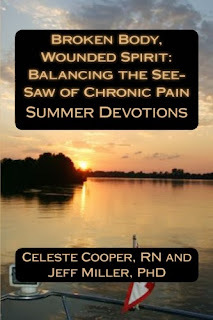 Broken Body, Wounded Spirit: Balancing the See-Saw of Chronic Pain. [ Series]. (Blue Springs, MO, ImPress Media, 2012 – 2014). Available here. C. Cooper and J. Miller. 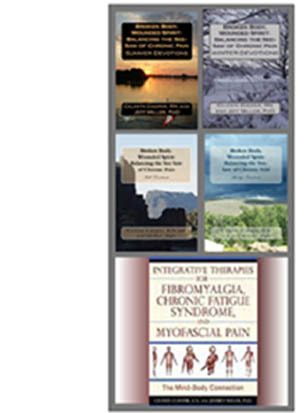 Integrative Therapies for Fibromyalgia, Chronic Fatigue Syndrome, and Myofascial Pain: The Mind body Connection. (Vermont: Healing Arts Press, 2010.) Available here. Books also available at major online retailers.